It's not just French Muslims who say that last week's terror attacks were the Jews' fault. 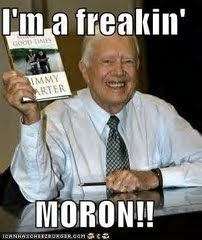 So does Jimmy Carter. That's what he told the Daily Show's Jon Stewart. Watch this one starting from 2:15. French Jews on their way out?